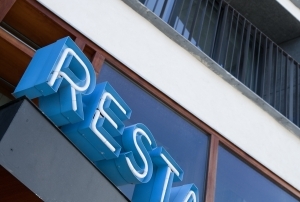 When are meals in a restaurant a business deduction? Is there different treatment for the cost of meals in the following two scenarios? 1) Trying to make a sale, so I take the potential buyer out for a meal. 2) Travel to place of work and purchase meals along with hotel and car rental. Sorry it has taken me so long to reply. Your first scenario is an allowable business expense. When the amount is transferred to your tax return, only 50% will be deductible. You can read more here. I think you are asking two separate questions in scenario two. When going through a normal workday, your meals are NOT deductible nor are they considered a business expense. The logic is ... you have to eat anyway. For example, if you were an employee in a business you did not own, the company would not provide you with free meals. If you were provided with free meals, they would generally be a taxable benefit ... with some exceptions. If you travelled away from home on business (not pleasure) which required overnight stays in hotels, then your airfare, hotel and meals are a legitimate business expense. If you had to rent a car while there to conduct business, it is also a legimate business expense. If you travelled to attend a convention related to business, the rules are a little different.